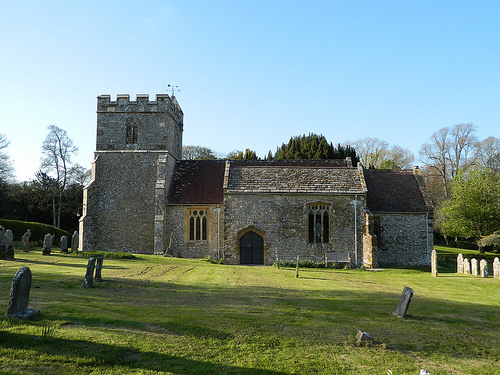 St. Andrew's Church, Melcombe Horsey, April 2014. 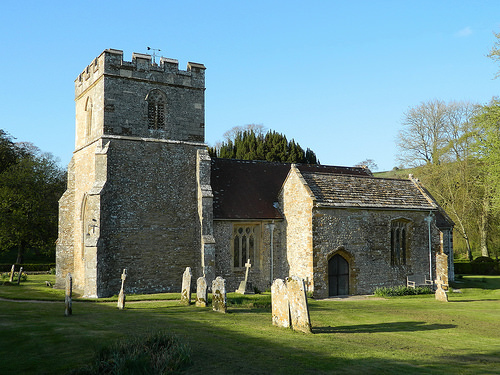 The church of St. Andrew, Melcombe Horsey can be found next to Bingham's Melcombe house. It is mostly fourteenth century and is built of stone and flint. The remains of a deserted medieval village lie to the south. Mee, A., ed., Dorset: Thomas Hardy's country. The King's England. London: Hodder and Stoughton, 1939, pp. 153-155. Newman, J. and Pevsner, N., The buildings of England: Dorset. Harmondsworth: Penguin, 1972, p. 278. Down the grass between the beeches, mellow in the evening hush. John Betjeman's Collected poems, 8th ed. London: John Murray, 1980, pp. 40-41.